It feels weird to write that, because we don't usually have a North Carolina swing! But after playing Quail Hollow last week, the Tour moves to Sedgefield CC in Greensboro, about 90 minutes up the road (and maybe 30 minutes east of my home). This is the last chance for players to make the FedExCup Playoffs, so many of the big names -- who have already done so -- aren't playing this week. 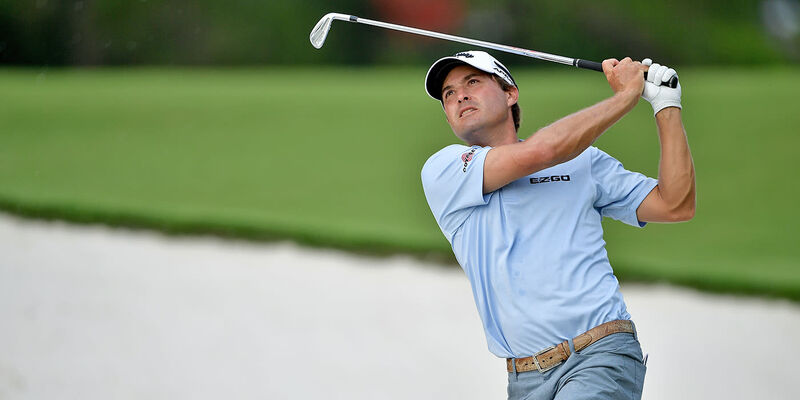 Kevin Kisner is the highest ranked player in the field (9th in the Cup standings) and is playing because he likes the course and hopes to improve his position. His wife Brittany expects their 2nd child during the 3rd Playoff event, and no doubt Kevin would like the option to skip that event if necessary. According to PGATOUR.com, the point total needed to reach the Playoffs this season is lower than usual, estimated to be between 352 and 363. That's nearly 100 points lower than usual, due to a reweighting of the points as well as four multiple winners this season. That should open up the possibilities for -- depending on how accurate the points projection is -- as many as six players to jump into the Top125. GC coverage starts this afternoon at 2pm ET. Only 14 points separate #125 and #132 on the points list... and Sam Saunders is #127. I suspect a number of fans will be following him closely.